Special bonuses for 2 days only as a thank you for signing up and reading our emails! Download Today To Get These Super Useful Introductory Bonuses Worth $1697!!! 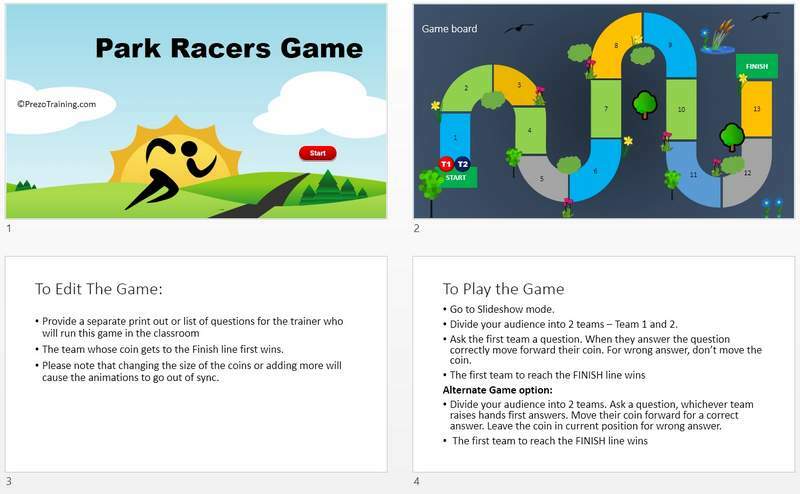 As training content developers, we’ve always used interactive PowerPoint games to reinforce key formulae, definitions and other significant facts in product training sessions. We’ve seen a massive improvement in class attendance and pass percentages in dry subjects like Life insurance training with these PowerPoint Games. 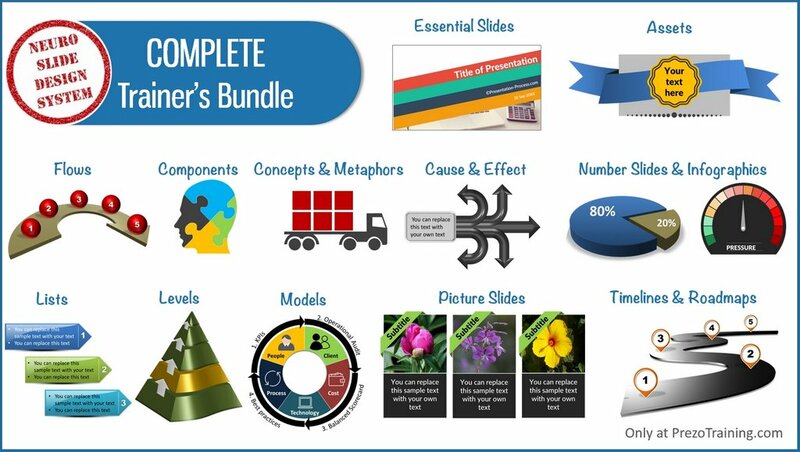 If you decide to get our ‘Complete Trainer’s Bundle’ now – you can download a collection of 45 high quality Interactive PowerPoint Games as a complementary bonus. Even if we assign $25 per game, this bonus pack alone is worth - $1125. PowerPoint is an effective authoring tool for eLearning courses. If you are an eLearning course designer, you’d find this bonus highly useful. Our Interactive Tab template sets are exquisitely designed to make your slide deck look attractive and engaging. You no longer need to worry about creating hyperlinks between slides and wonder if they would work flawlessly in your sessions. We’ve done all the hard work for you. 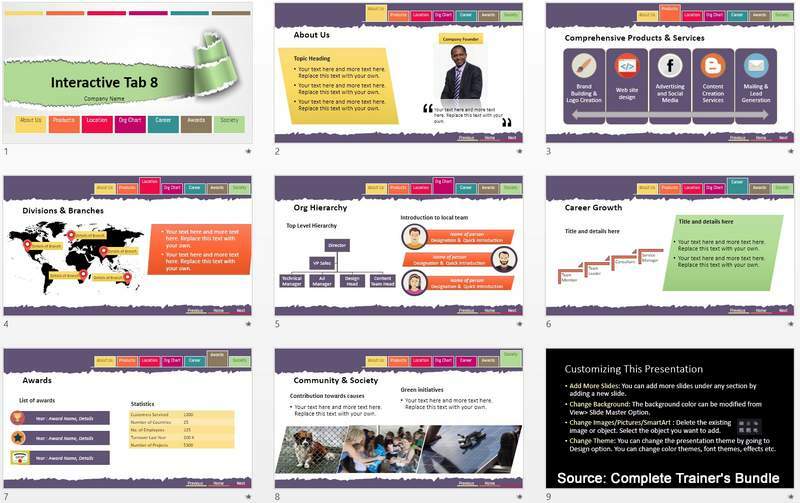 You just need to click and replace the sample text in the interactive templates to make your training slide deck interactive. Even if you don’t create eLearning courses, you can use these template sets to create interactive self-learning experience for your participants. Even if we assign $5 per template set, we are talking about $125 value right here inside this bonus pack. Whether it is Finance, Healthcare, Manufacturing, Logistics, Safety, Social Media, Web design or any other industry that a lot of our customers belong to – we have a set of specific icons readily available in the Bonus pack. You can edit the icons right inside PowerPoint. You can change their color, add different backgrounds, apply 3D or combine different icon elements to create your own icons. You can use these icons as graphic elements for your diagrams or use them to illustrate your concepts easily. All the icons are neatly categorized as groups in alphabetical order. You can find what you want in a matter of seconds. Even if we assign a nominal value – this editable icon set is easily worth $99. We have maps of 200+ countries across Africa, Asia, Europe, North and South Americas, Oceania and World maps. Each country map contains – country outline as well as provinces/state break up. You can pull them apart, resize them, add colors, change outline colors, shadows and customize them the way you like. You may have seen packs with 120 maps sold for $299. So, we can assign at least that much value to this massive collection of fully editable Maps. You can use these images to create keynote presentation style slides to upload on Slideshare. You can also use them in motivational presentations, blue sky strategy presentations etc. If not, You can also use them as section dividers, for presenting quotes or making an announcement. This collection of images are licensed as public domain so you can use them as you like. This collection is easily worth $49. As you can see, I’ve assigned very reasonable value to each of these bonuses.Yet, the bonus collection alone is worth more than $1697. Now, can you see why this pack is such a great deal? I don’t know how long I can afford to give away these bonuses for free along with the pack. You’ll agree that 4022 premium quality templates are in themselves worth many times more than the price I ask for the pack. Download Complete Trainer's Bundle with these useful Bonuses today*! *Please Note* Bonuses are available only during the 2 day promotion in the newsletter.